Are you searching for method to Take Screenshot on iPhone X? How to Take Screenshot on iPhone XS? How to Take Screenshot on iPhone XR? How to Capture Apple iPhone X, iPhone XS and iPhone XR? How to Save Screen on Apple iPhone 4 CDMA? How to take screen picture on iPhone X, iPhone XS and iPhone XR? How to record Screen on iPhone X, iPhone XS and iPhone XRA? How to take display screenshots on Apple iPhone 4 CDMA? If yes, then you are at right place. This guide with show you a straight forward method to capture screen on iPhone X, iPhone XS and iPhone XR. Please follow the simple steps to get it done. STEP #1: Open the screen which you want capture on your iPhone X, iPhone XS OR iPhone XR. 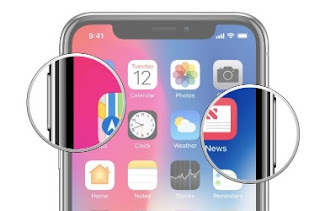 STEP #2: Press and hold the Side button on the right side of iPhone X, iPhone XS OR iPhone XR. STEP #3: Press the Volume Up button at the exact same time. STEP #4: Screen will flash and there will a camera shutter sound to confirm that screen is captured. STEP #5: You can find captured screen images in PHOTOS.